The famous camera company’s German branch actually used slave labor from German concentration camps. Several European branches of Kodak did extensive business with the Nazi government. 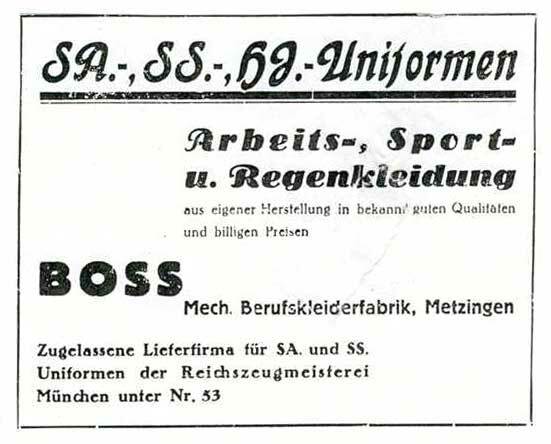 In the 1930’s, Hugo Boss began to make Nazi uniforms. The reason? Hugo Boss himself was a member of the Nazi party! As a result, he won a contract to manufacture the Hitler Youth, storm trooper and SS uniforms! The contract was life changing for Boss who had won it eight years after starting his company. The huge contract helped him take his company to a new level. Business was so huge for Boss that he actually imported slave labor from Poland and France to staff his factories. Ferdinand Porsche, the man who made both the Volkswagen and Porsche household names, met with Hitler about creating a “people’s car” – aka, a Volkswagen. 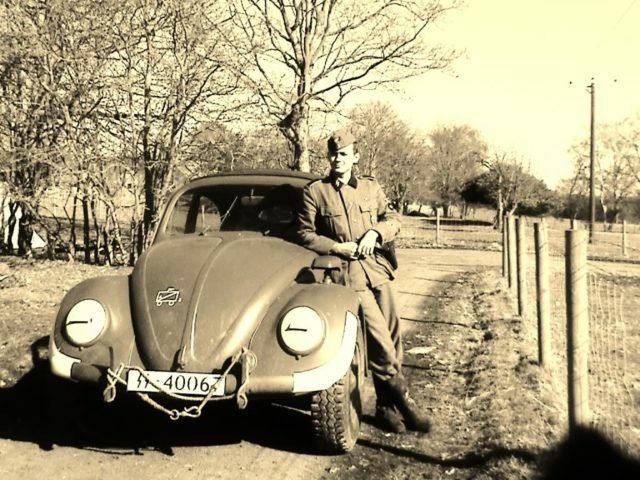 Hitler’s feedback and guidance to Porsche was to make the car with a streamlined shape “like a beetle.” And thus came about the famous Volkswagen Beetle, designed in part and actually named by Hitler himself! A sad footnote to this story is that throughout WWII an estimated four out of five workers at Volkswagen’s manufacturing plants were all slave labor. 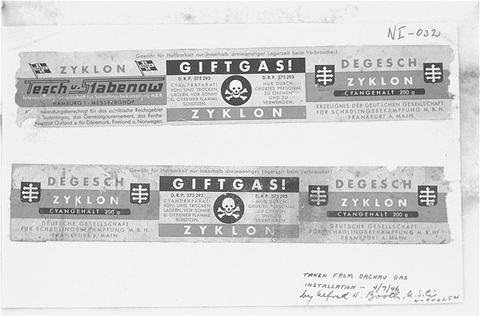 Zyklon B labels from Dachau concentration camp used as evidence at the Nuremberg trials. The first and third panels contain manufacturer information and the brand name. The centre panel reads “Poison Gas! Cyanide preparation to be opened and used only by trained personnel”. 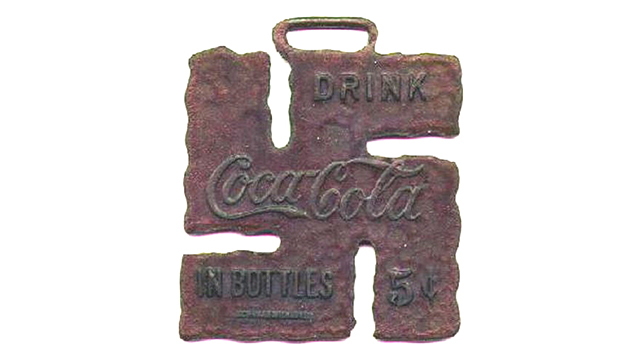 At the height of the war and Holocaust, a company name IG Farben manufactured the infamous Zyklon B gas the Nazis used in the gas chambers. They also funded Josef Mengele’s “experiments” on unsuspecting and unfortunate concentration camp prisoners. IG Farben was the single biggest beneficiary of the war financially speaking turning the largest profits from their work with the Nazi government. Following the war, they broke up. Bayer, one of its divisions, spun off into its own company. Ironically enough, Bayer’s most important invention and product, aspirin, was invented by Arthur Eichengrun – one of their Jewish workers. 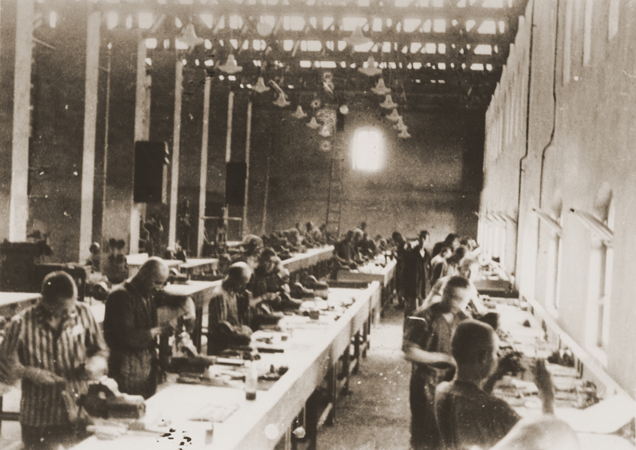 Prisoners around 1944 working at a Siemens factory in KZ Bobrek, a subcamp of Auschwitz concentration camp. Siemens nefariously used concentration camp slave labor during the Holocaust to build the gas chambers that would be used to exterminate both themselves and their loved ones. Half a century later Siemens would win the “how dare they” award for trying to trademark the name “Zyklon”(German for cyclone) for a new line of products they hoped to launch – including a line of gas ovens. Zyklon is, of course, the name of the poison gas developed to kill the Jews in the gas chambers.